Yesterday was an extraordinary day for the children and staff at Queen's Park Primary School. 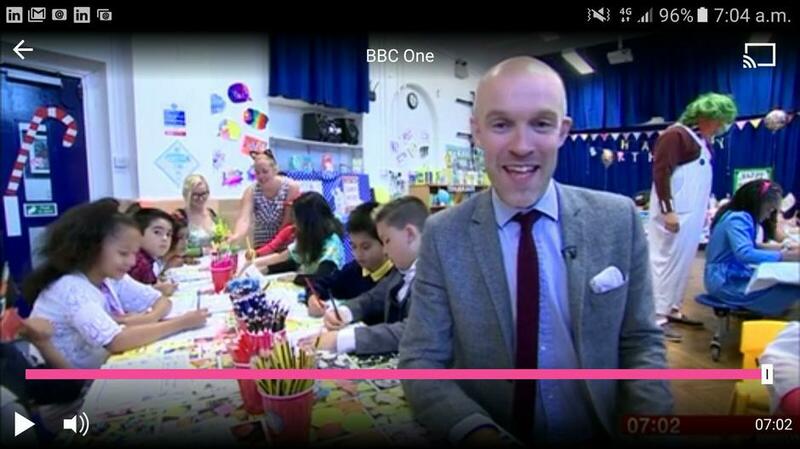 We were invited to appear live on BBC and Sky television to share in the festivities for Roald Dahl's 100th Birthday. Staff worked tirelessly in the build up to the celebration to prepare the hall to showcase the best that Queen's Park has to offer. It was clear when children arrived so early that the preparation from home into the costumes was unbelievable - thank you! KS2 children arrived at school at 6.45am just in time for the first live shots on the BBC, and throughout the morning we could be seen on BBC Breakfast, Sky news and heard live on BBC London Radio. We were even treated to visits from 2 life size Oompa Loompa's and Aunt Sponge and Aunt Spiker. The BBC said we were the most welcoming school they had ever visited. Penguin books praised us for the effort taken in decorating the hall and Sky couldn’t believe how well our children behaved. 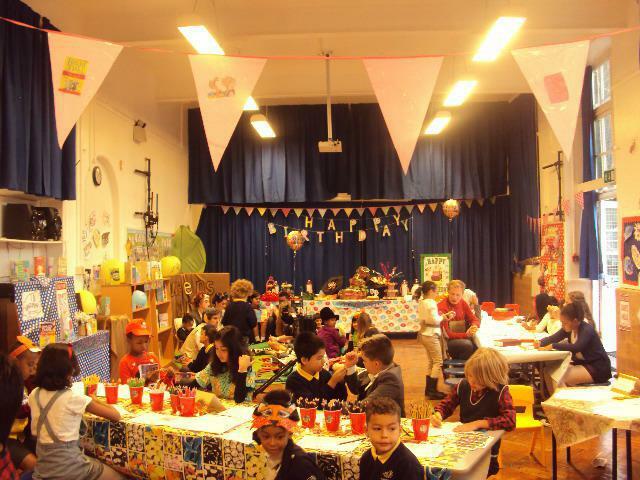 Throughout the day all children were treated to lots of Roald Dahl related fun, with games, golden tickets and lots more besides. We hope that your children had just as much fun as we did and look forward to hearing all your feedback.